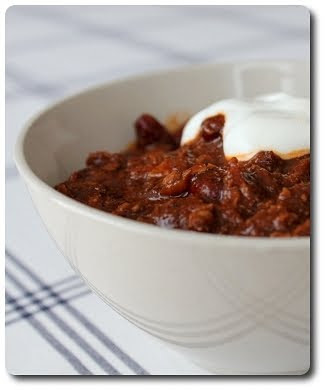 That chili looks amazing...going to have to try it myself once the temperature comes down a bit. Really Awesome Chili! I usually double the recipe and freeze it in individual portions for my husband's lunch. He takes a container out of the freezer before we go to bed the night before, microwaves it at lunch with some cheese, and eats it with a corn muffin or fritos. By far one of his favorite meals!